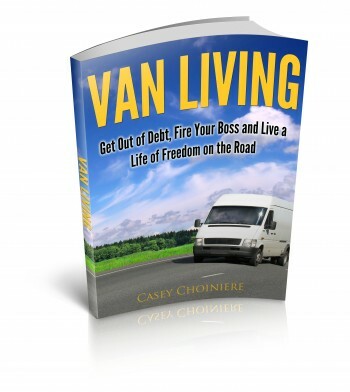 Van Living | Insulate Your Van Windows Cheap! Anyone who has ever spent any time in a warm climate knows exactly how unbearably hot a vehicle can get when it sits in the sun all day. 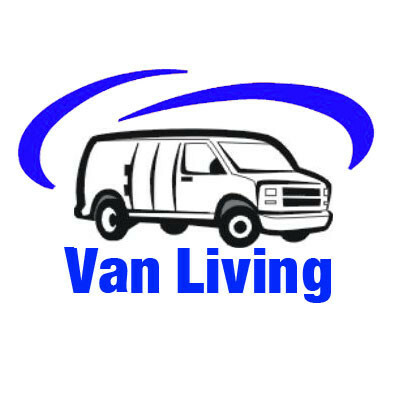 Insulating your van can greatly enhance it’s ability to stay cool in the summer and warm in the winter. There are a variety of ways to insulate your windows but I wanted to post this very quick, easy, cheap and effective method. It requires very little tools and money and you don’t need to be a mechanically minded person to make it work. ween sheets of reflective silver film. It can be easily cut to the desired size and shape and is only about 1/4″ thick so it is easy to manipulate and use i a variety of applications. 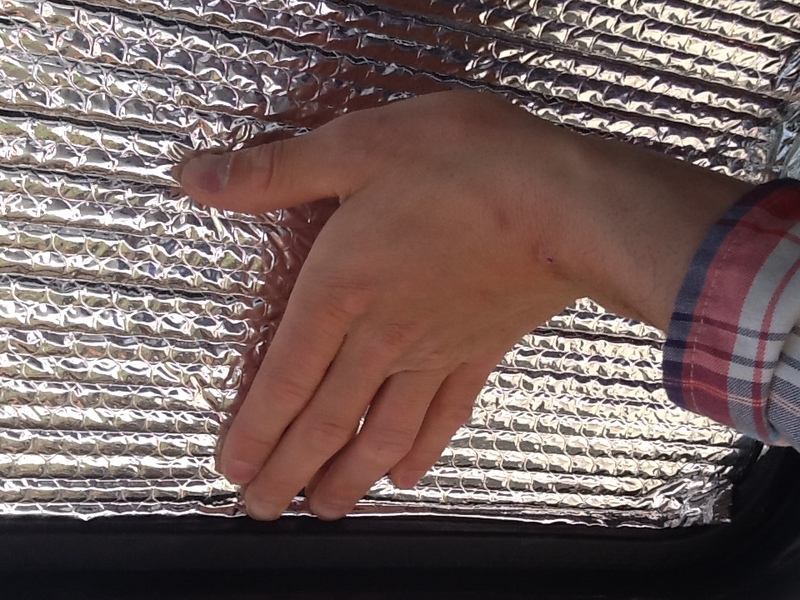 When used properly it is a great radiant barrier and is very effective at reducing the amount of heat that is transferred from solar radiation. It is often used in home insulation and can be laid down on a roof before putting down shingles. You can check out a huge variety of ways that Reflectix can be used for your DIY insulation projects at their company website HERE. For our purposes we are going to need a roll of Reflectix that is at least 48 inches wide (you can use 24 inch wide rolls if your windows are 23.5 inches tall or less). In addition to the Reflectix we are going to need a pair of scissors a marker and a tape measure…yes, that’s right, the only tools you need for this are a tape measure a marker and a pair of scissors. Heck, if you don’t have a tape measure you could even get creative and use a piece of string or something like that. 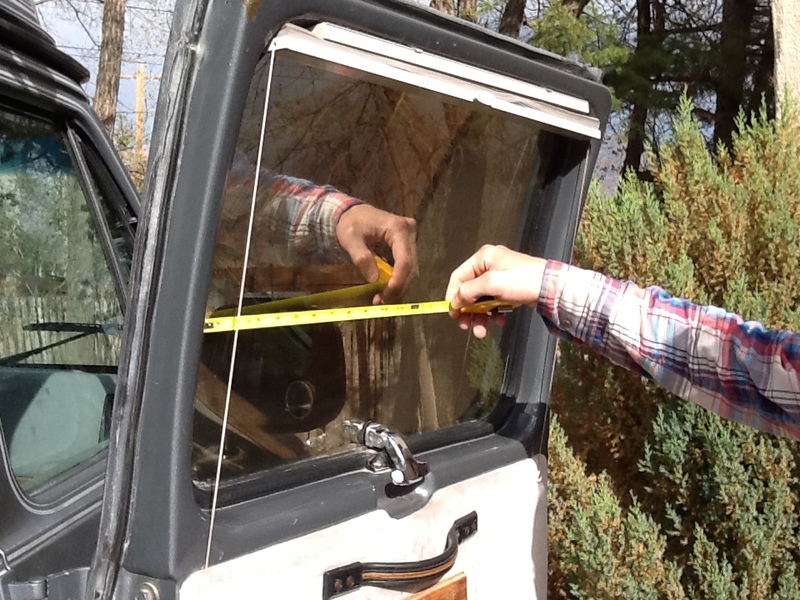 The first thing you want to do is measure the window that your going to insulate. Measure it from top to bottom and side to side. 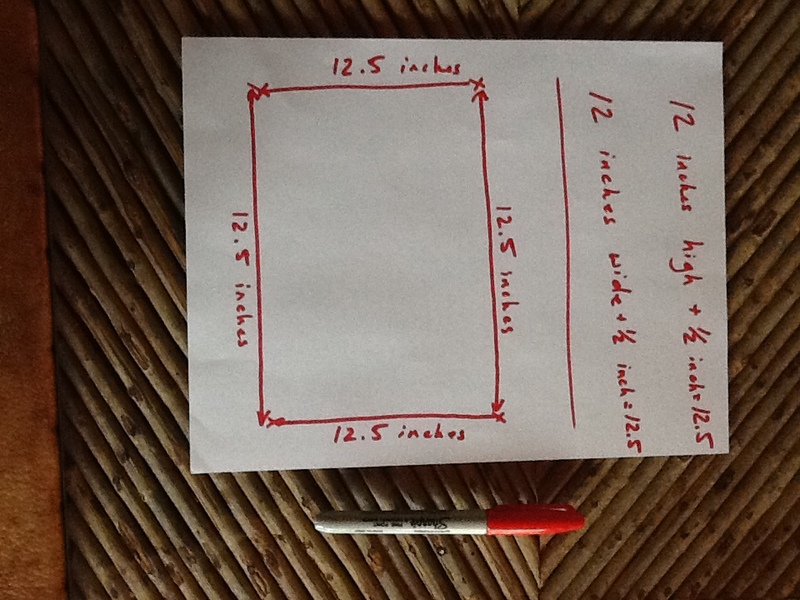 Add a 1/2 of an inch to each measurement and make a note of these measurements on a piece of paper. Pretty simple. If your windows are not a perfect square and are different sizes at each corner you’ll want to take measurements for each side. 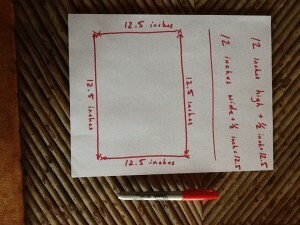 Make sure that you measure the dimensions on the inside of the window frame not the outside. 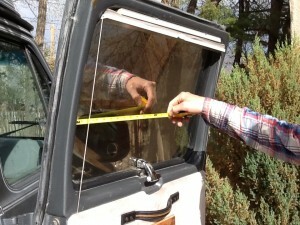 Next you want to use your tape measure and marker and make marks on your Reflectix for each dimension that you measured adding 1/2 inch to each measurement. For example, if your window is 12 inches by 12 inches you’ll make a straight line that is 12.5 inches long. From each end of that line you will measure in a perpendicular direction another 12.5 inches and make marks there. Join these marks with a line that is 12.5 inches long. You now have a perfect 12.5 x 12.5 box. This sounds confusing reading but I think you get the idea. Basically you want to trace a pattern that matches the dimensions of your window. Now you just need to cut out your piece of reflectix. Remember that we made it 1/2 of an inch larger than the window. This serves a few purposes including allowing for a greater margin of error when making your cut-out. Place the reflectix in the window and press it firmly along the edges to press into place. 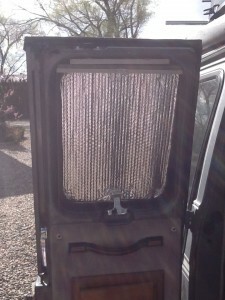 In most applications the reflectix will stay in place because it is slightly larger than the window frame. Be sure that the reflectix seats firmly against the window with little to no air in between the glass and the reflectix. Having an airgap between the glass and window will reduce the effectiveness of the insulation. That’s it! Your done! 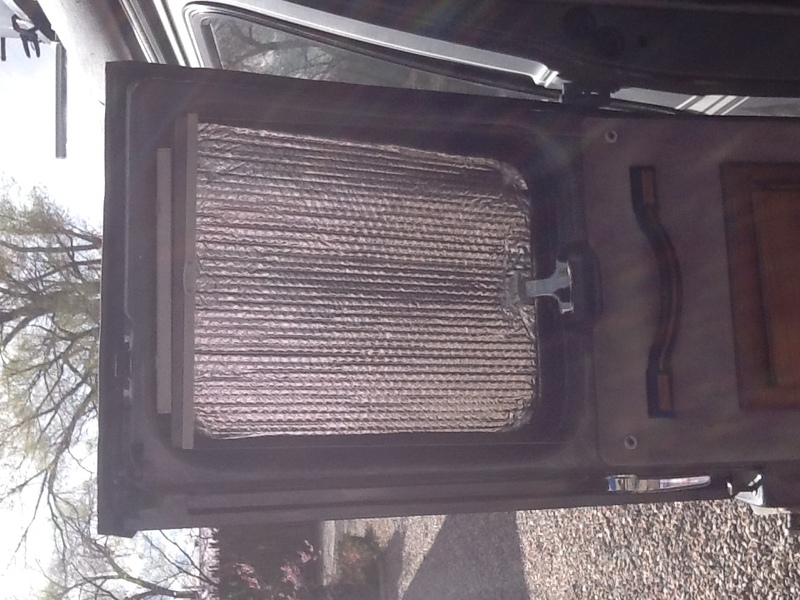 Repeat this process for all of your windows and you have easy to remove window insulation for your van. 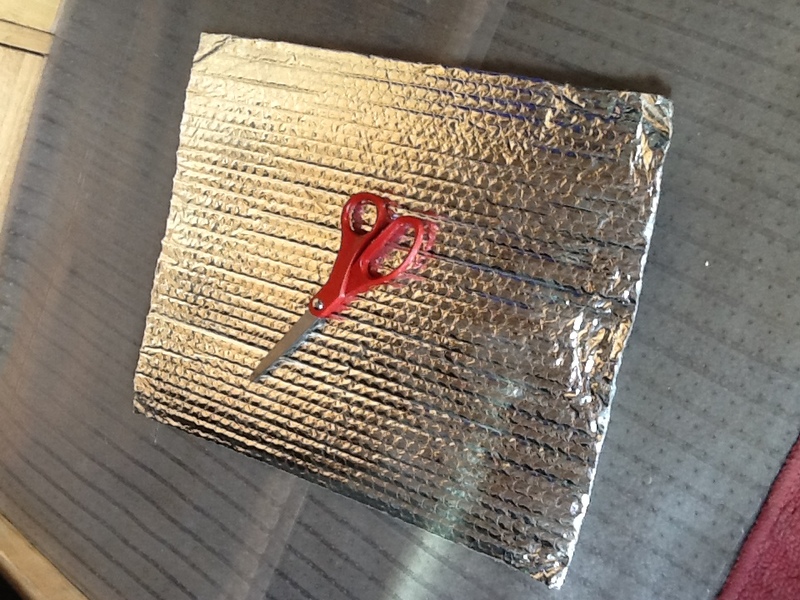 You can choose to add velcro to the window and insulation to make it stay in place easier. make sure you use industrial grade velcro though because the heat from the sun will turn the glue on the velcro to a worthless sticky mess if you use the cheap stuff. A small piece in each corner should work just fine. In my experience this isn’t necessary but you may find it works better for you.